So I found these in a little shop just down the road from me in Amersham, called Whippet Grey. Whippet Grey started as, and still is, a mail order company, and the shop in Amersham is their first. If you're not local, order their catalogue or have a look on their website. 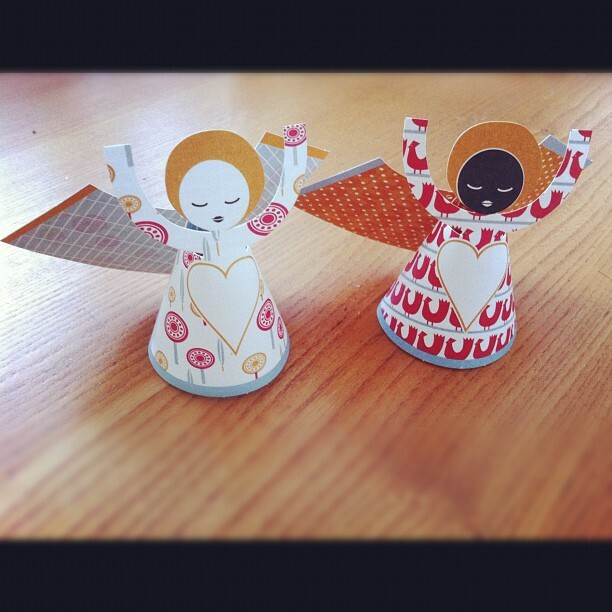 These paper angels can be used as name place cards for your dining table, to decorate your tree, or to make angel bunting. They're £9.95 for a pack of seven, and if you're careful, I reckon you could re-use them time and time again. It's the first time Popeye and I are hosting Christmas dinner this year, and I think I'm getting a little carried away with all the frippery!